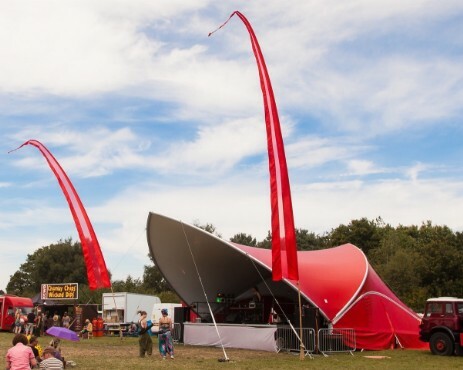 Known throughout the industry as one of the most versatile structures in existence, we've taken the step of having our brand new Saddlespan S1000 custom-made in a gorgeous, bright red to give you something striking and different. It arrives onsite partially assembled on a trailer and goes up fast to fit in with your production schedule. In order to suit day or night time events, The Red Stage is available with a complementary white interior, or red to match the outside. Complete with a qualty sound system. brilliant lights and video.